My grandfather only went to Hobart once in his life. That was to see Warne-Smith lead the North West Football Union against the hated TFL, the Hobart-based association that thought it was the VFL and sought to rule accordingly. Warne Smith was injured early and the Union lost – or that was how the story came down to me 60 years later. That’s a long time for a story to travel, but something about the Australian game, some innate power it possesses, has been able to propel stories with rare power. That is why the pre-match entertainment before the Dreamtime at the G game may be the most powerful message Aboriginal Australia sends non-Aboriginal Australia this year. Dad left Launceston High School just as the Great Depression hit. He later survived the war-time atrocity remembered as the Burma Railway, but he said that in some ways the Great Depression was worse. In the Great Depression, he said, “you saw whole families go under”. One of the few bright spots in that bleak reality was Laurie Nash. If the word genius can be applied to sport, it could probably be used in relation to Nash. He would open the bowling for Australia and offer to bowl bouncers back at Douglas Jardine’s English team during the Bodyline crisis. In Launceston football, he played for the City club under captain-coach Roy Cazaly. There were State premiers in 1930 and ’32 – in 1933, he joined South Melbourne, playing centre-half back against the wind and centre-half forward with it, and was a member of the Swans’ famous Foreign Legion premiership team of that year. People ask me who I barrack for – I barrack for the game. An American who lived in this city for some years once wrote me a letter which began: “You seem an intelligent man. Why do you write so much about football?”. Because it’s the culture I’m from. Footy’s a language I can speak. I also happen to believe Australian football is, by world standards, a great game – that it is, in fact, Australia’s great athletic invention. Sir Arthur Conan Doyle, the creator of Victorian detective Sherlock Holmes, watched the 1920 VFL grand final between Collingwood and Richmond and declared that the Australian game was the most athletic of all the football codes. It is a game of courage and daring, of strength and physical grace. I was enchanted when I discovered it as an 11-year-old growing up in Burnie on Tasmania’s north-west coast. Five of the boys I played with or against went onto to play in the VFL/AFL. Between them, the two Burnie clubs. Burnie and Cooee, easily won the bulk of the premierships in that third of the island. I was therefore shocked to learn earlier this year that, unable to field a team, Burnie had followed Devonport in withdrawing from the Tasmanian Statewide League. Popular sports like Australian rules football are constantly re-born in the eyes of children – in my case, between the ages of 11 and 13. I was 11 when the game captivated me. 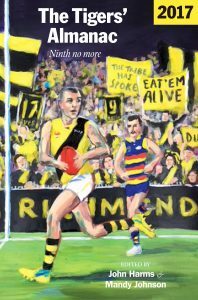 I was 12 when I listened – on a plastic transistor held against a steel girder to better the reception – the classic 1967 grand final between Geelong and Richmond. 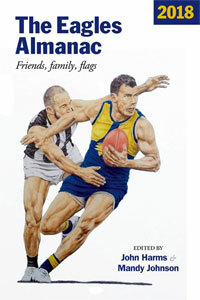 That same year, I also saw the Tasmanian State final between North Hobart and Wynyard which ended with the goal posts being pulled down by Wynyard supporters to prevent North Hobart full forward Dicky Collins shooting for goal, Wynyard supports having judged that he marked the ball after the siren. When I spoke earlier this year at a function in Hobart celebrating the re-birth of the North Hobart Football Club, Dicky Collins attended and brought the ball – the ball he was holding when the goalposts were pulled down. The umpire, a man with the marvellously symbolic name of Pilgrim, never got to blow his whistle to end the match. The game is still being played, I like to say, out in the football dreamtime…. The answer is that the game has evolved into two very different cultures. Those at the top talk in terms of branding and product and market share, the language of corporate culture. 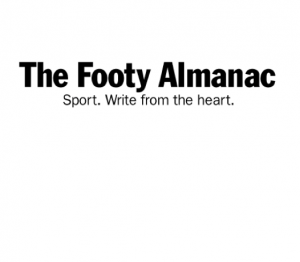 The culture at the bottom was best described by Glenorchy Football Club president John McCann when he said two years ago that the ecosystem of Tasmanian football was sick. He was right on two counts – he was right that it was sick, and he was right that the grassroots game, that growth of more than 150 years, is best understood as an eco-system. The AFL and those around them talk about “the industry”. If football is an industry, it is at the most basic level a primary industry, but everywhere I go in Australia, I hear the same – that industry is struggling. And so tonight in moving this toast, can I say to all those who love the game and particularly to those who are responsible for its future – Ignore Grassroots Football At Your Peril. Read more from Martin Flanagan at the Almanac HERE. There’s no doubt in my mind that the true, beating heart of any sport lies in its local setting. For me, that has mostly been rugby league and cricket. As a pre-teen boy, my father would sometimes take me into our local town Laidley, 100kms west of Brisbane, to see the locals run around in the Ipswich competition. They captured the spirit of the local community and they were ‘us’. In my 30s, as a Dad, I took my son to the local footy in Redcliffe (a distinctive locality, as the writings of William McInnes testify) where Liam developed a love for the game as an observer and writer. In my 50s and 60s, I’ve been able to attend local cricket and footy in Tumut, Gundagai and Gunnedah as Liam covered local sport as a newspaper reporter. 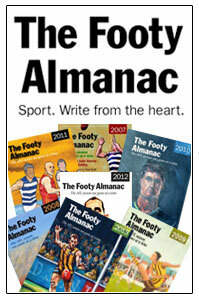 Those communities were and are something special as I’ve written elsewhere on the Almanac site. Give me local any day – it’s where the real people are, where hearts beat and blood runs in the veins, and where communities come together to be just that, community. Martin Flanagan is a national treasure and every bit as important to football as Gil McLachlan or Garry Ablett. He says ignore grassroots footy at your peril. I say Fail to listen to Martin Flanagan at our peril. He speaks and writes with a depth of feeling about our game that is unparalleled. Again so the story goes, the Tigers had Pop contact his Latrobe captain to bring him over and somehow when Warne-Smith arrived in Melbourne he went to the MCG instead of Punt Rd and ended up a Demon instead of a Tiger. As for Martn’s concerns about grassroots footy those sre real. I think part of the problem is that our game is a very very hard game. It asks its players to be incredibly athletic, but also brave and to play without fear or regard for risk. Yet we live in a so iety now that is incredibly comfortable, safe and risk averse. Im not sure but maybe footy is just a bit too hard and tough to be at the centre of modern Australian culture? But there are signs of greenshoots popping up here and there. Here are a couple that are very personal to me. I have been directly involved in footy in the Pacific for close to 24 years now. I have been directly involved in footy in Papua New Guinea now for almost 20 years. Without going into detail when I arrived in PNG there was no organised junior Aussie Rules program. This year with strong sustained AFL support over 15 years or more we have more than 70,000 kids playing AFL across that amazing nation and Hewago “Ace” Oea was recently signed on an International Scholarship at 17 after debuting last year in the Ald U16 State side with 3 goals and 10 tackles against Tasmania. He plays our game with grace and a purity that is typical of the indigenous boys, but also with a ferocity of a Pacific warrior. Ace is on his way. That is one strong green shoot. Another personal greenshoot is that my daughter Dasheille plays footy, great footy for thr Richmond Junior Footy Club along with her Brother, named after my Pop, Rueben Reid. Both go okay and along with their elder brother all have played in the Queensland State Championships for the PNG Binatangs, proudly wearing their PNG national colours of Red Black and Gold. And so whilst Nartin has justified concerns for grassroots footy, which are real, I also think that the greenshoots for our beloved game are still strong and the game will evolve but it will survive because it is so great. And for me personally the neat circle that connects me and my Pop, Ace and my kids is actually an oval shape like our ball and our grounds. Footy is in me, it was in my Pop, its in my kids and its in Ace. Its in a lot of us, but maybe we just need to do more to recognise and express and foster the oval that sits within. So keep playing, help your local club, watch for greenshoots in the grassroots. They are out there. Wangaratta Rovers were formed in 1945, joined the Ovens & Murray football league in 1950 and for as far back as i can recall been a powerhouse, with 19 senior premierships. 7 of these came in the 1970’s, their most recent being 1994. A stalwart of county football they’ve fallen on hard times. In recent years they’ve picked up a number of former AFL players including Barry Hall. In 2012 they reached the preliminary final but so far in 2018 are winless,looking wooden spoon bound. I’m used to the struggles of Corowa-Rutherglen over recent years,but to see a club as successful as Rovers having this fall makes alarm bells ring even louder. Grass roots football in this country, what is the springboard for this great game is struggling. 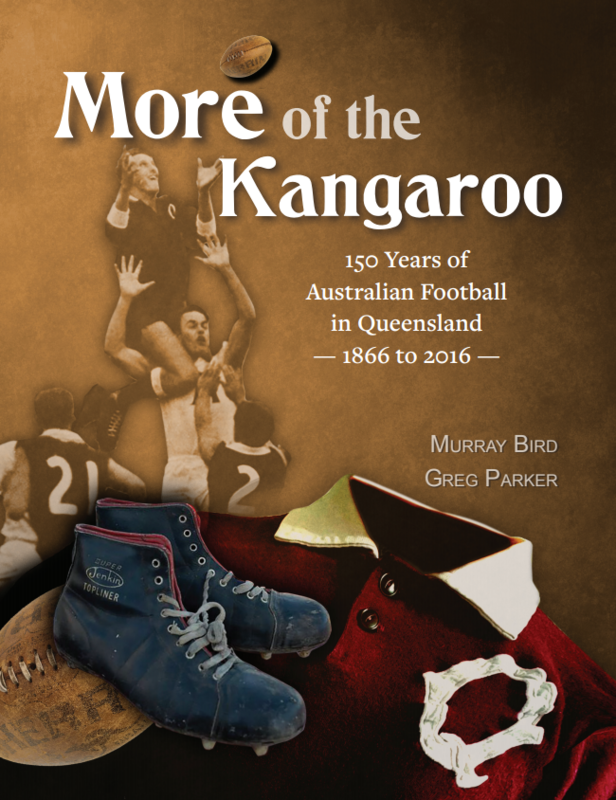 The AFL has made great noise about expanding the game over the ‘Barassi Line’, into parts of New South Wales and Queensland that were always disinterested about the indigenous game. They’ve bankrolled new clubs,destroyed Victorian clubs,giving their histories and identities to clubs that have won premierships. We can discuss and debate this until the cows come home , but the sad fact is the grass roots of the game has problems. When the AFL reports a profit of $48.8 m, how much of this money goes back to suburban and country clubs? Footy, as we used to call it,is our indigenous game devised,played here, in Australia. It has grown enormously, changed immensely,making lots of money for some people. But where to from here if the grass roots withers away,whilst the ‘stadiums’ are the primary,nay sole focus. So many questions: somany reports. Thanks for O & M update Glen! Pleased to hear that Corowa are off the bottom of the ladder and have at least won a few games this season. Who’d have thought that Wang Rovers would ever be in this position? Bet Wang Magpies are warbling!!? Surely the solution is not a merger? As for the grassroots the game is booming in NSW and Queensland – particularly in the urban areas. AFL Sydney now boasts the largest competition in Australia – includes juniors, men and women. Similarly, SE Qld continues to grow rapidly. This is the new dynamic for the game at the grassroots. Its a shame to read of the decline of grassroots footy in Tassie. Seems like the Statewide League was poorly conceived and now the clubs are reverting back to their local leagues. Our game has always been nourished by the local derby. Thanks all concerned for allowing us to read and consider this text from M Flanagan. The degree to which any of this matters to you depends on what you judge as important. 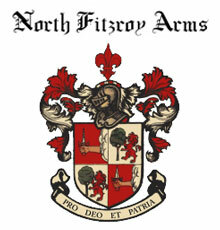 It’s tricky as motivations run deep, run in criss-cross patterns, and run with strong currents. If it’s important to you that people have equality of opportunity, that they feel connected; if it is important to you to help others with their social connection, you’ll be interested in the plight of footy and of communities in Tasmania. So probably this story is fundamentally one of priority. It seems that the socio-economic fates of many many communities around Australia are greatly influenced by the decisions of certain unelected and powerful executives. It calls into question how alternative views may be voiced. How they can be heard. It calls into question what people want to see. ‘Footy’ is an expression of culture, which is an expression of being. When others seek to control it for its commercial potential, it seeps away, wafts into something else. The expression of culture is expressed elsewhere, as something else. Footy is thus transformed into ‘AFL’, a game I’ve never played. But why drag in local soccer as the enemy of grassroots football in Tasmania, Martin, in your second last paragraph.? 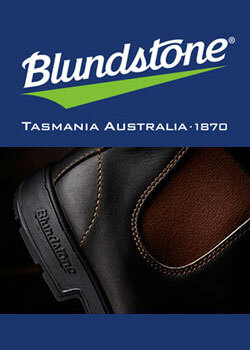 Small sided predominantly kicking games played for money or other prizes have a longer history in Tasmania than footy. They were killed just a surely by the Australian game over two decades in the 1860s and 1870s when the imperialists from Melbourne invaded with their invented English game. Then in the latter part of the 1870s Association football, soccer, revived in Tasmania in the hands of Captain Boddam and had another rebirth under Joe Honeysett and his family in 1912. The full story is in Ian Syson’s The Game That Never Happened, which will be out next month. Surely, given this long intertwined story we ought to be thinking about co-operating between the codes rather than treating them as enemies in a zero-sum game. I’ll bet that in Tasmania there are thousands of people of all ages and genders glued to the World Cup in Russia on SBS who will be at footy matches this weekend and a generation of kids who aspire to playing for the Socceroos/Matildas and/or footy teams in Launceston and Hobart or Burnie. I agree that it’s short sighted to render issues like this a zero-sum game. Surely any “victory” for footy in Tassie over local football/soccer or the Gold Coast Suns would be beyond Pyrrhic – if the AFL doesn’t continue to grow/attract new talent/fans or if we continue slagging off one sport against another, surely in the long term us sport lovers will have have more existential problems to deal with, Tasmania very much included. Gawd, sorry Roy I don’t see why you have taken such offence? There is one mention of a news bulletin leading its sports report with Tasmanian soccer ahead of Tasmanian football. I don’t think any serious historian,would suggest that Australian football and soccer have some culturally equitable history in Tasmania. Folk football games that existed in Australia before Australian football codified in 1859 are surely more relevant to the Australian game than to the game that evolved out of the rugby-without-running-with-the-ball rules that were agreed when the Football Association formed on the other side of the planet 4 years later. Australian football is also a “predominantly kicking game” last time I checked.